Ya, had to do it. 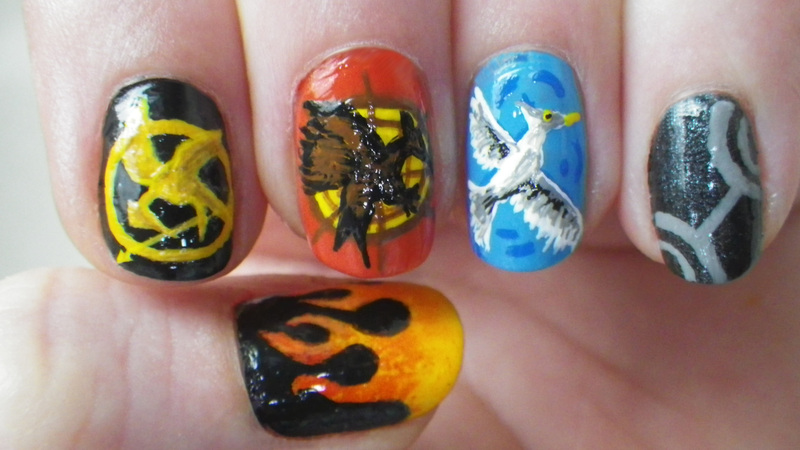 I too am a big fan of the books and I too will go see the movies. And these book covers looked hard to do, I really didn’t even think I could do it or do it well. But, I am very impressed with myself that I could pull it off. 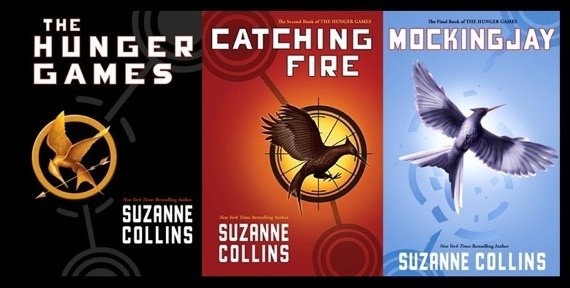 I wanted to do all the book covers not just the Hunger Games as I am sure they will make all three movies anyways. Here is the book covers that I copied and with a look at Jane From Nailside I followed her advice on the flaming thumbs. On my pinky fingers I purchased the new China Glaze Hunger Games polish this ones is called Stone Cold and it is a matte finish. (Ya, I know why didn’t I get district 12) This matte finish is great and goes on so well, it dries fast and looks really cool. I don’t have anything like this so, it will be fun to add other colors to it and well, a nice gloss too. Thumb: Sally Hansen – Mellow Yellow with sponge effect topped OPI – In My Back Pocket. 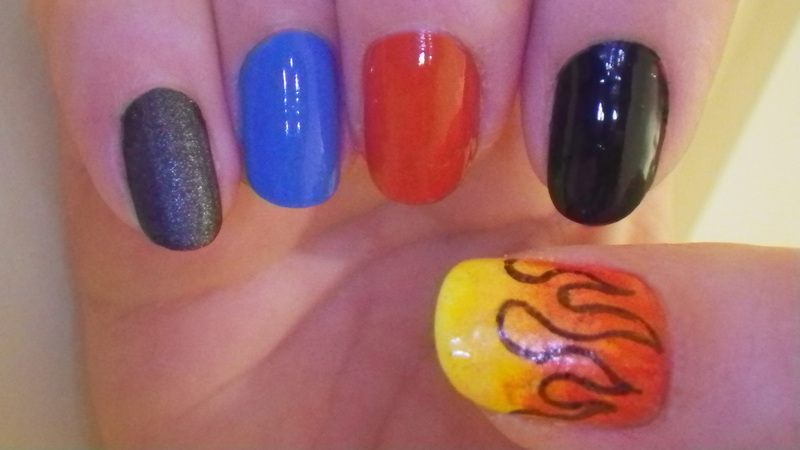 Then I used black acrylic paint to do an out line for the flames. ( you can use a little bit of rubbing alcohol and water to wipe out any mistakes you might make until your flames looks just right.) 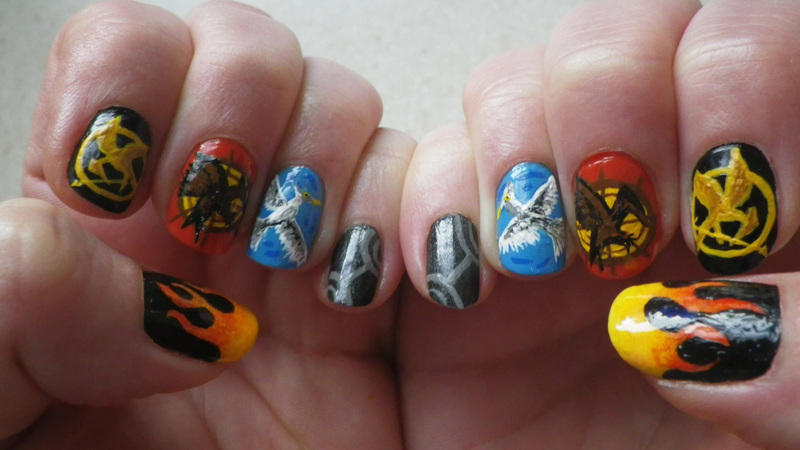 Then with the same black acrylic paint fill in your design.